Hello Amazing Crafters!! How do you add your Cre8time mark to your creations?! 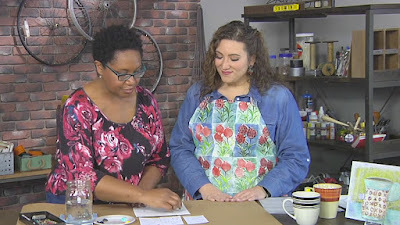 Get ready to be inspired with the latest episode of Make It Artsy: the TV show for makers and crafters – featuring tips, techniques and projects for makers, crafters and artists! Ready for a new episode of Make It Artsy?! Pump up your personal style statement. Host Julie Fei-Fan Balzer draws and cuts custom screens for silkscreen printing. Painter Mystele Kirkeeng uses supplies at hand to paint a charming folk art house. Studio artist Andrew Thornton gives fabric a work out and creates and artful book. Jane Dunnewold joins Julie with another artsy idea. Make It Artsy launched September 29, 2016 on Public Television stations across the country! Look for it on your local PBS channel – all new episodes from series 200 are now airing. If you can't find it on your local programming, you can view this episode online by clicking this link: Series 200, Episode 212 - Personal Style. Amazing Casting Products by Alumilite Corp. is proud to be one of these fabulous group of companies partnering with Make it Artsy. Stay tuned for upcoming Series 200 episodes with projects featuring some our amazing friends using Alumilite's AMAZING products! Don't worry... we'll be sharing each new episode right here as they become available so you can tune in. Hello Amazing Crafters!! Cre8time can be enjoyed by all ages. Get ready to be inspired with the latest episode of Make It Artsy: the TV show for makers and crafters – featuring tips, techniques and projects for makers, crafters and artists! 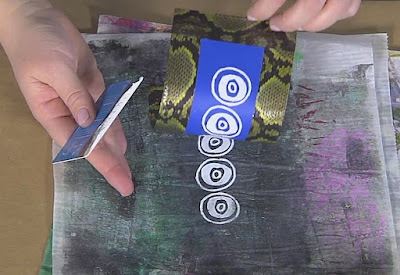 Inspire a young maker with kid-friendly art projects. Folk artist Mystele Kirkeeng paints a portrait of a cup inspired by various designs. Studio artist Cynthia Thornton paints and assembles articulated paper dolls. Jewelry expert Candie Cooper tops things off with a beautiful beaded crown. Jane Dunnewold shares another art tip. Make It Artsy launched September 29, 2016 on Public Television stations across the country! Look for it on your local PBS channel – all new episodes from series 200 are now airing. If you can't find it on your local programming, you can view this episode online by clicking this link: Series 200, Episode 211 - Kid Friendly. Hello Amazing Crafters!! Get ready to be inspired with the latest episode of Make It Artsy: the TV show for makers and crafters – featuring tips, techniques and projects for makers, crafters and artists! Wear your art and express your maker's spirit wherever you go. 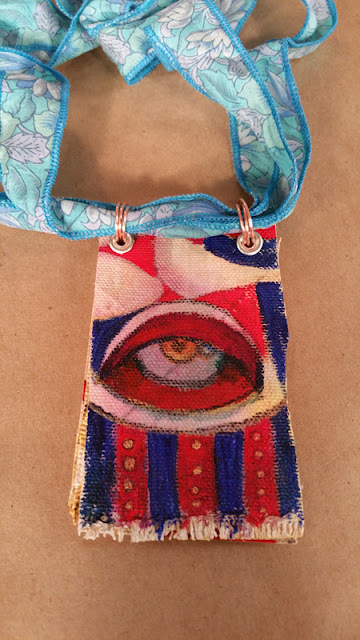 Embellishment artist Candie Cooper makes bag charms with leather and beads. Resin artist Susan Lenart Kazmer casts found objects to wear as jewelry or embellishments. Fine artist Andrew Thornton turns a book into a necklace. Back with more art tips is Jane Dunnewold. Make It Artsy launched September 29, 2016 on Public Television stations across the country! Look for it on your local PBS channel – all new episodes from series 200 are now airing. If you can't find it on your local programming, you can view this episode online by clicking this link: Series 200, Episode 210 - Wear Your Art. Hello Amazing Crafters!! 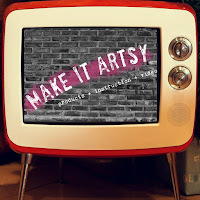 It's time to share the next episode of Make It Artsy: the TV show for makers and crafters – featuring tips, techniques and projects for makers, crafters and artists! Folk art is the essence of a culture. Painter and maker Mystele Kirkeeng paints abstract folk art faces and figures. Tool expert Joe Rotella uses baker’s twine to weave new art on a tin tile. Host Julie Fei-Fan Balzer draws repeating shapes to create a meditative mandala. Jane Dunnewold shares another artistic perspective. Make It Artsy launched September 29, 2016 on Public Television stations across the country! Look for it on your local PBS channel – all new episodes from series 200 are now airing. If you can't find it on your local programming, you can view this episode online by clicking this link: Series 200, Episode 209 - Folk Art.